Vintage, HD, 4K / UHD, 8K, 10K and every axis imaginable including bespoke timelapse rigs. Be it a simple static timelapse or a huge twenty-six foot crane, we've got every angle covered. Due to the nature of timelapse photography, our kit needs to be reliable, durable and most importantly, able to withstand the elements of which it's seen much action! The majority of our kit has been chosen to be carried easily making it simple to get to the most demanding of locations when normal transport isn't an option. Canon 5D Mark II / III - Our standard go-to workhorse. We've put these cameras through a torrent of abuse and they've yet to let us down. They've happily snapped away in -20°C in Greenland and truly tested in the Omo Valley in blazing temperatures reaching over 45°C! A full-frame camera which provides timelapse resolutions up to 4K (4096x2304). Canon 6D - Slightly less features than the 5D, but just as reliable and still full frame. Phase one - For when you need that huge resolution for big screen displays it's time to bring out the big guns! With a still image shooting resolution of up to 10K and a high dynamic range, this digital medium format camera looks great downscaled to HD or in full 10K mode! Canon Super8 - Believe it or not, we still shoot on film! Our 8mm camera can even be used with all our motion control kit and wired in directly for full automation for that true vintage look. We can process and deliver a reel direct or ingest it to give a resolution up to 4K if required! 35mm film - due to the nature of timelapse, it's possible to shoot individual rolls of 35mm film on one of our many film cameras for individual vintage looks. A plethora of 35mm film is widely available and you're looking at approximately ten rolls of stock required for a ten second shot. We can also shoot on regular film cameras if required. Box Brownie Medium Format - It's simple and elegant, and although each individual exposure is manually triggered, the results are great. With only eight exposures per roll, you're looking at processing around 32 rolls for a ten second clip but very definitely worth it! VHS - Our early portable broadcast tube camera with it's own dedicated shoulder-bag VHS recorder can also be used alongside our motion control rigs. Think streaky car lights and an aspect ratio of 4:3 for those that remember! Dynamic Perception Stage Zero - A solid 1.8m slider that's simple to set up and light enough to carry around. One of our most popular rigs and provides a very smooth shot. Emotimo TB3 Black Edition - A 3-axis controller with built in pan and tilt that can be used in conjunction with our sliders. Programmable, repeatable moves are possible to merge video and timelapse in a single shot. 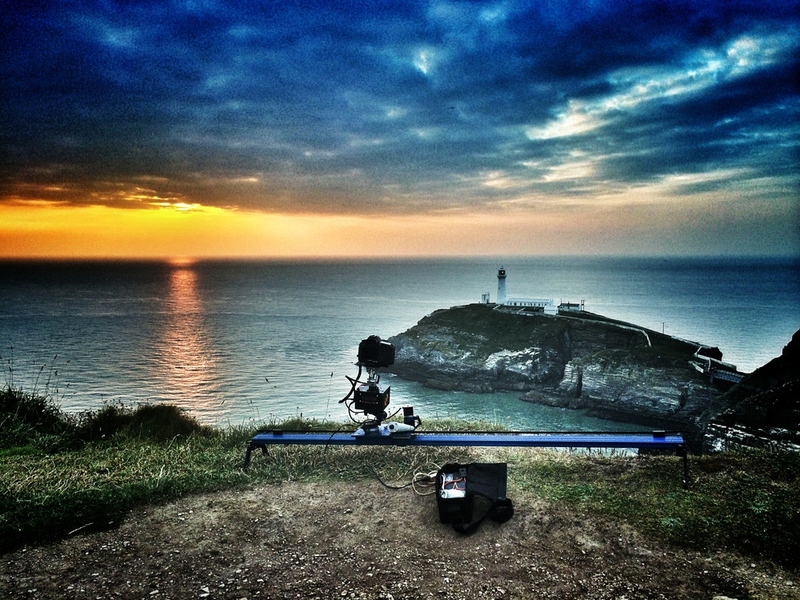 Dito Gear 2m slider - A sturdy slider capable of moving larger camera rigs such as our 3D rig. Panning head - A self-built panning head for a simple pan or can be used as a product turntable. Bespoke rigs - Since 2010, we've developed and built many bespoke rigs for one-off shots. Please contact us for further details. The Beast - Using a 26ft camera crane (though not limited to this length) we can deliver a timelapse from a height of 26ft down to ground level. It's a great bit of kit but is limited to low wind speed situations due to the nature of the design. At a push, it can be carried to various locations.